Engage your players with competitions. 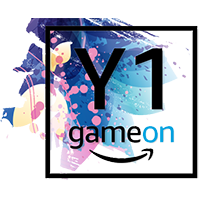 Amazon GameOn is a set of flexible APIs that allow you to build cross-platform competitions into your games that drive engagement and increase monetization. With GameOn, you have an easy tool to strengthen your fanbase with leaderboards and leagues, awarding in-game and real-world prizes fulfilled by Amazon, and enabling streamers to play with their followers with a simple click. Increase player retention and revenue with cross-platform competitive game play, including leaderboards, leagues, and multi-round tournaments. Unite your players, no matter what device they play on, in fun and engaging game experiences. Reward your players with real-world prizes fulfilled by Amazon or other in-game items. Reward your players with in-game and real-world prizes fulfilled by Amazon. Create new or recurring leaderboards, leagues, and multi-round tournaments for both single and team gameplay. Allow players to create and manage their own leaderboards and competitions. Build interactive experiences that brings viewers and creators together with our Twitch extension. Manage competitions with ease and access reporting on player behavior. 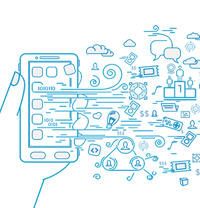 Define entry requirements such as geographic location, device type, player skill level, and more. 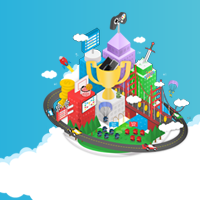 Create competitions at events like gaming conventions, music festivals, and meetups. "We were particularly drawn to the real-world prizing aspect of GameOn. In-game tournaments drive player engagements, and prizing creates a stronger incentive for players to participate. Administering real-world rewards is complex and Amazon makes the logistics easy and seamless." "Eden Games are big believers in skill-based competitive gaming and in the fact that mobile represents a gigantic democratization opportunity in the discovery process of the next eSports/Motorsports champions around the world. It is fantastic to find a solid and powerful partner like Amazon to be so aligned with our vision and deliver the tools we need to cross the bridge, right at the moment we wanted to cross it." "GameOn made it really easy for us to incorporate Tournament play into Beach Buggy Racing 2 at launch. Weekly Tournaments have become a critical piece of our retention and engagement mechanic. We've even noticed an uptick in IAP conversions, up to 2x higher between players who participate in GameOn tournaments vs those who don’t." — Matt Small, CEO/Creative Director/Co-Founder, Vector Unit Inc. Subscribe to the GameOn Newsletter! Be the first to hear about the most current GameOn news and feature announcements.